For someone who repeatedly takes a “holier than thou” stance against chick lit, I sure read a lot of it. Maybe I actually … LIKE it? I don’t know. Maybe there are higher evolved forms of chick lit and I am more highly evolved, so these books appeal to me. Or maybe I’m not as much of a book snob as I thought. 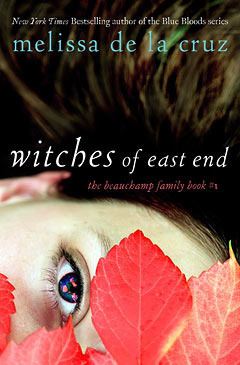 Witches of East End is the first in the Beauchamp Family series. Author de la Cruz has also written a bestselling vampire series, Blue Bloods, which I may check out because I enjoy vampires, aside from the kind that sparkle. Obviously the Beauchamp series is going to be about witches. Three of them, to be exact — mother Joanna, and her daughters Ingrid and Freya. I had a hard time putting this book down. Between the hot love scenes between Freya, her fiance Bran (although I was thinking of poor crippled Bran Stark — HODOR!) and his brother Killian (not at the same time, because that would be weird), and the mystery that more bookish Ingrid uncovers, as well as the special witchy skills that each of them possesses, I found this book to be entertaining and breezy. As much as I don’t want to spoil this book for anyone, I will say that the last 20 or so pages threw me. So it turns out that the witches, as well as brothers Bran and Killian, are ancient gods and goddesses and they’ve been reunited in modern times – how convenient! OK, for a book about witches, I guess I shouldn’t be too picky about the realism in the story, right? The other thing that struck me as odd was the appearance of a character from, I’m assuming, the Blue Bloods series. It’s kind of like when people from Grey’s Anatomy show up on Private Practice – it’s an interesting twist but overall it does nothing to advance the plot. Unless it has significance in a future installment of the Beauchamp family series. 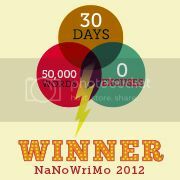 All in all, it was a fun ride, and I do plan on checking out her Blue Bloods books – even though I don’t read chick lit. Oh, who am I kidding. CHICK LIT RULES!!!!! Okay, I will admit that I have read chick-lit as you put it. Would you believe my made me do it? At any rate, as always I find your review to be entertaining and informative. Please, keep up the great work!